In an industry that is equal parts excellent service, stellar work, and outstanding reputation, it’s no wonder why repeat business is so essential to the successful operation of a contractor’s company. Of course, the more contracts you have signed for future work, the easier your workflow and budgeting will be. 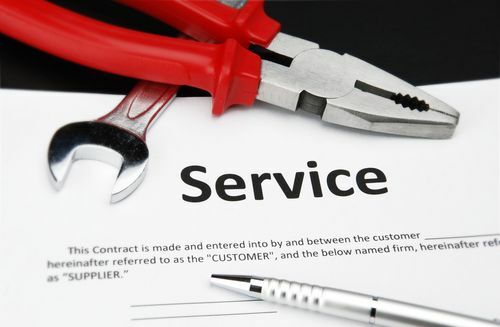 This begs the age-old contractor question: How do you sell more service agreements? The best sales people in any industry will tell you that you have to understand your customers’ pain points in order to successfully close deals. When you’re able to anticipate their objections, you’ll have your foot in the door with a solution that will benefit them from the very beginning. Nobody’s going to buy anything that doesn’t have perceived value. Ask yourself if you would buy what you’re selling, and if the answer is no, it’s time to rework your service agreements. The features and benefits of your service agreements should be clearly outlined and clutter-free so your customers can easily see why they need to make the purchase. Training your technicians to convey value properly is essential. Make training a regular part of your technicians’ employment, and be sure everyone takes it seriously. The more confident and knowledgeable they are, the more signatures are going to wind up on the dotted line. Your sales guy was too pushy for my taste. Salespeople who shove their products and services down customers throats usually only succeed at forcing business to run as far as possible in the opposite direction. To sell more service agreements, it’s important to create a relationship with each customer, investigating each person’s needs through discussion, and proposing solutions best for each individual.